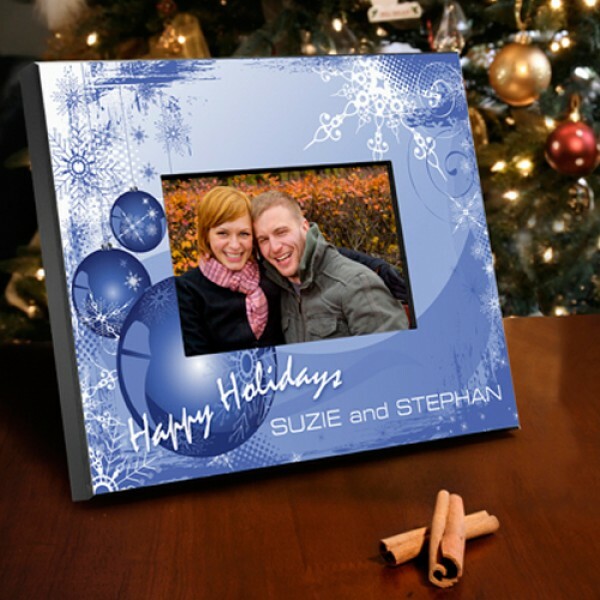 Deck the halls with one of our beautiful personalized holiday picture frames, a great gift for anyone on your list. Our whimsical yet sturdy picture frames looks great on the mantel, the piano, or anywhere you want to show them off! Each full color design features a special holiday message and provides plenty of room for names or a short personal sentiment. Frame measures 8" x 10" and holds a 4" x 6" photo. Select from one of our five magical designs. Personalize with one line of up to 30 characters.